Tax & Accounting Services | Tellone Financial Services, Inc.
You work hard to earn a living for yourself and your family. However, it is not just about what you make, it is what you keep that matters most. That is why tax planning is key to maximizing the value of your time and energy throughout the year. 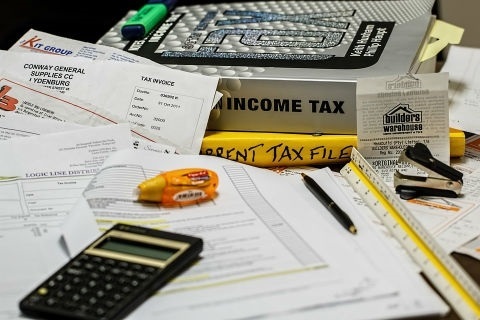 With the ever-changing complexities of the tax code, you may be concerned that you are leaving money on the table by not utilizing all tax benefits available. Subsequently, this may impair your ability to fund other significant goals. The benefits of proper tax planning formed the basis of our company’s founding, when Dean Tellone, controller of a major corporation, attained his Enrolled Agent (EA) license in the 1980s. Today, with an experienced and knowledgeable in-office CPA, we perform tax planning and preparation that is fully integrated with our clients’ wealth management plans. By having a tax department that works directly with investment advisors, clients are assured that their wealth accumulation strategies and financial goals are synchronized with their tax plans. We will prepare your individual tax returns, as well as other entity returns like corporations, S-corporations, partnerships, estates and trusts. An important factor in wealth accumulation is protection of assets through estate and trust planning. For clients with small businesses, we are able to assist you in maintaining your records. We will help you close your books at year end and prepare your company’s tax returns. We can advise you in ways to lower your taxable income and improve your effective tax rate. We help our clients set up retirement plans to effectively lower their taxable income. We will represent you in front of the IRS and FTB if you ever get audited. Tellone Financial has a successful track record in minimizing tax notices and keeping you in good standing with the government. We work with our clients throughout the year as needed to calculate tax projections and help you plan for your estimated tax payments. Navigating through the federal and state tax codes takes a commitment to understanding the nuances and best practices for reducing tax liability. With the expertise of tax professionals, you can take comfort that you are filling out all necessary forms in advance of deadlines, claiming all available credits, and taking all recommended deductions. Furthermore, by utilizing legitimate tax strategies, you are free to grow and preserve assets to reach your most meaningful goals.